Thank you National Debt Relief for sponsoring this post. Being a single mom has its share of challenges. 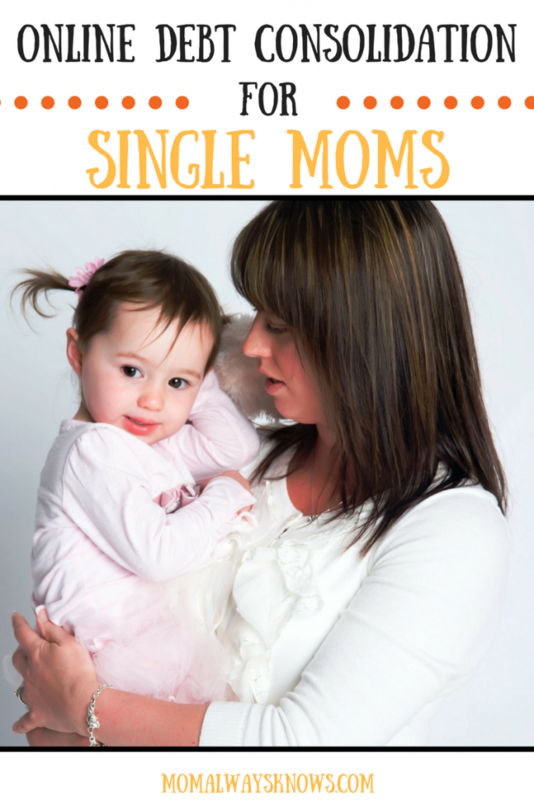 One of the biggest challenges that most single moms face are expenses when it comes to raising their child/children alone. Most of the time they need to take loans and often find it hard to repay them on time. They tend to take another loan to eliminate the older loan, however, most of the time, this does not work, and they fail payments often causing their debts to spiral into a mounting one. This makes life tough, and they fail to manage debts and fall into more financial misery. Thanks to the advent and the intervention of debt consolidation solutions for single moms, taking care of unpaid and old debts is no longer a hassle. The process of debt consolidation entails clubbing all your debts under a single loan. The debt consolidation companies negotiate with creditors so that you make small monthly payments every month. This helps the single mom to pay off the pending debt gradually. Many single moms are enjoying the benefits of debt consolidation programs. These programs help them to manage utility bills, educational expenses of their children, legal costs when it comes to divorce, etc. These programs have been specially designed for single moms so that they effectively can meet their daily financial challenges affordably and effectively. There are credible loan consolidation programs that help single mothers manage their debts in an easy and streamlined fashion. There are several programs for you to opt for but if in doubt, you can always ask professional and qualified experts to guide you. Make sure you pick someone with a proven track record and credentials in the marketplace. Debt consolidation programs need to be applied for and are available online. As a single mother, you need to visit the website of a credible debt consolidation website and apply for a program to eliminate your existing debts. Once you have applied online, you get to choose the consolidation program that you qualify for. The approval process is fast, and you need no collateral to qualify for the debt consolidation program. Even if you have a low credit score, don’t worry as these debt consolidation programs have you as a single mother in mind and have been uniquely designed for you. These companies ensure you understand the whole process of the debt consolidation program so that you get the peace of mind you deserve and can say goodbye to debts forever with the passage of time! Good luck!